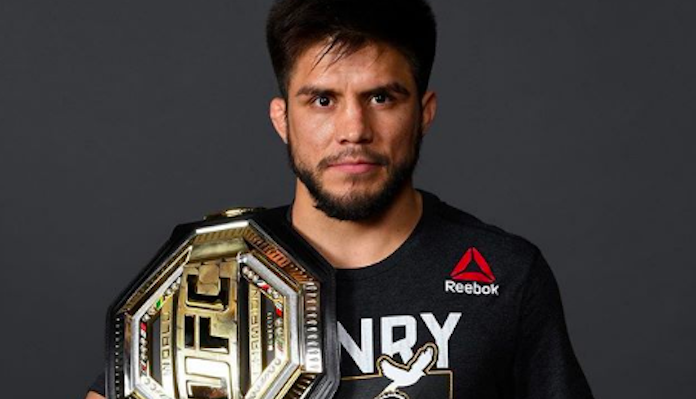 Henry Cejudo defended his UFC flyweight title for the first time last weekend in Brooklyn, scoring a 32-second TKO victory over TJ Dillashaw. The result came as a shock to most fans and analysts. That is not to say that people were counting out the former Olympic Gold Medalist against “Killashaw”, but very few expected the title fight to go down in the manner it did. His victory over the promotions current bantmaweight kingpin at UFC Brooklyn marked Cejudo’s second massive win in a row. Henry had previously defeated longtime flyweight king Demetrious Johnson via split-decision at August’s UFC 227 event in Los Angeles to capture the promotions flyweight crown. Due to his recent success, Henry Cejudo now finds himself ranked #5 on the promotions pound-for-pound list. Check out the recently updated pound-for-pound rankings below. It is expected that an immediate rematch between Henry Cejudo and TJ Dillashaw will be booked next, likely at bantamweight. What do you think of the new pound-for-pound rankings? Do you agree that Henry Cejudo should now be ranked higher than Amanada Nunes? Sound off in the comments sections PENN Nation!